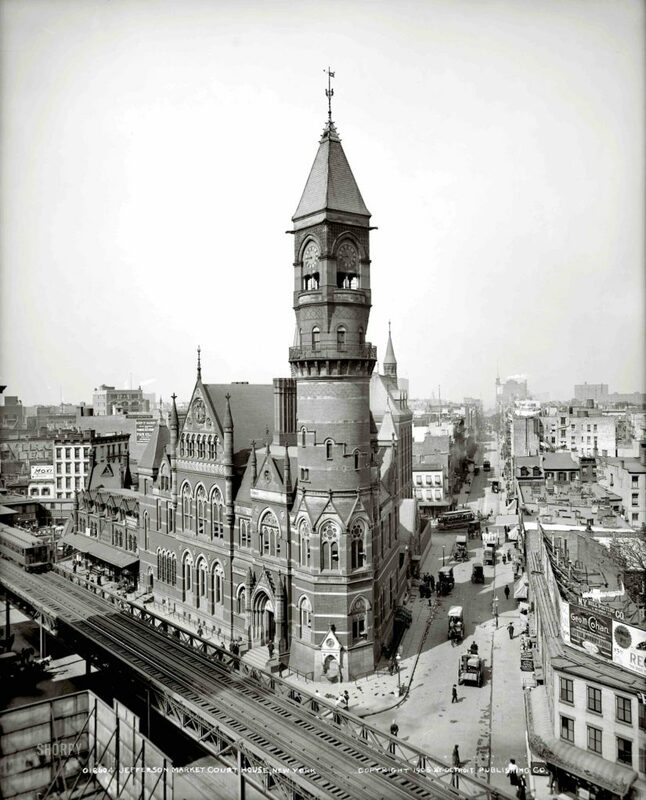 The Committee for a Library in the Courthouse was focused on saving the Jefferson Market Courthouse from demolition and converting the building into a branch of the New York Public Library. Above: Jefferson Market Courthouse, 1905; Courtesy of the Detroit Publishing Co. Preserving the building meant preserving the character of the neighborhood; to this end, committee members began a grassroots campaign. Meetings were held in the home of committee chairman Philip Wittenberg and sought to include anyone interested in the building.4 The members then used their political connections to call attention to the cause, including various "night letter" telegrams sent directly to the office of the mayor. Following the decision from the mayor, Giorgio Cavaglieri, an architect who had worked with the committee, retrofitted the building for use as a library.8 In 1967, the Jefferson Market Courthouse was reopened to the public as a branch of the New York Public Library. Charles Hosmer, Interview with Margot Gayle, under the auspices of the Eastern National Park and Monument Association, 23 June 1982. University of Maryland Libraries Collection. Anthony C. Wood, Preserving New York: Winning the Right to Protect A City’s Landmarks (New York: Routledge, 2008), page 262. “‘Villagers Fight to Save Building,'” The New York Times, 19 February 1961. Charles B. Hosmer, Interview with Margot Gayle, under the auspices of the Eastern National Park and Monument Association, 23 June 1982. University of Maryland Libraries Collection. “The Return of Old Jeff,” Progressive Architecture, October 1967, pages 175-178. City of New York, Office of the Mayor, “Mayor Wagner Backs Jefferson Market Courthouse For a Library,” press release, 23 August 1961.